James M. McDonnall, age 75 of Delta, passed away Tuesday afternoon, January 15, 2019 at Ebeid Hospice in Sylvania. He was born in Wauseon, on February 11, 1943 to the late Scott McDonnall and Louise (Sintobin) McDonnall. Jim graduated from Delta H.S. in 1961 and from OSU in 1965 with a Degree in Agriculture. Jim took pride in working with his father, brother, son and grandson at McDonnall Farms Inc. as well as establishing McDonnall Harvester and Parts and McDonnall Greenhouse. Jim served as a board member on the Fulton Co. Soil and Water District, Maumee Valley Resource and Conservation District, the Agricultural Board at the New Mexico State University and the Advisory Board for the State Bank in Delta. Jim was also inducted in the Fulton Co. Agricultural Hall of Fame in 2004. Jim enjoyed a wide variety of activities including holding a real estate license and a passion for flying, becoming a pilot and owning his own plane. He also enjoyed golfing and attending kids and grandchildren’s various school and sporting events. Jim loved traveling the southwest and enjoyed spending his winters with Sue, building a retirement home in Las Cruces, New Mexico. He enjoyed spending time with his business customers as well as new found friends. 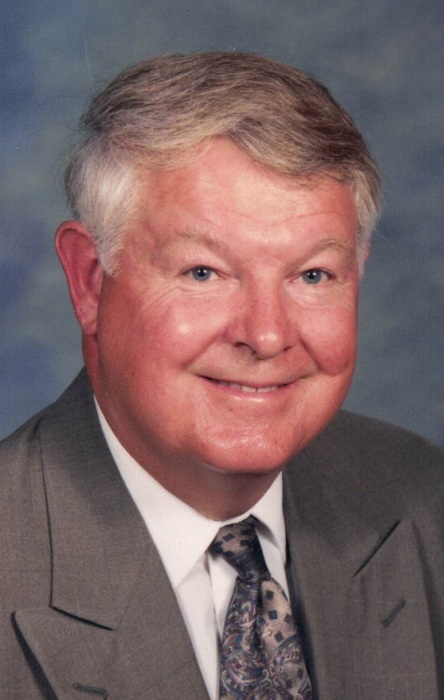 Jim was a man of faith making that a priority by serving as an active member at the Delta Church of Christ as an elder and secretary/treasurer of the Missions and Benevolence Dept. Along with his loving wife of 55 years, Suzanne; Jim is survived by his children, Jill (Michael) Levison of Sylvania, and Christopher (Joellen) McDonnall of Delta; brother, Jerry (Nancy) McDonnall of Delta; sister, Janet (Terry) Greisinger of Grand Ledge, MI; and grandchildren, T.J. McCready, Andie McCready, Scott McDonnall, Hailley McDonnall, Jayce Levison, Elayna Levison, Avi Levison, Alexa Levison. He was preceded in death by his parents, Scott & Louise (Sintobin) McDonnall and infant son, Lonnie. Friends will be received from 2-8 PM on Friday, January 18, 2019 at the Delta Church of Christ, 500 Providence St., Delta, OH 43515. Funeral services will be held at 10 AM on Saturday, January 19, 2019 at the Delta Church of Christ. Pastor David Underwood will be officiating. Burial will follow at Greenlawn Cemetery. Those planning an expression of sympathy are to consider Ebied Hospice, 5340 Harroun Dr., Sylvania, Ohio 43560 or Delta Church of Christ. Arrangements were entrusted to Barnes Funeral Chapel, 5825 St. Hwy. 109, in Delta. Online condolences may be made to the family at www.barnesfuneralchapel.com.